Interim CEO appointed at Legal Ombudsman 19 December, 2014- Office for Legal Complaints appoints Ian Brack to the position of Interim Chief Executive Officer for the Legal Ombudsman. SRA begins revocation of practising certificates 15 December, 2014- SRA begins process of writing to solicitors who have failed to complete the process for renewal of their practising certificates or registration. LSB rejects PII reduction proposal 27 November, 2014- LSB rejects SRA application to reduce minimum level of PII cover to £500,000. SRA – second consultation on accountants’ reports 19 November, 2014- SRA launches second consultation looking at redefining circumstances in which accountants' reports are qualified and amendments to format of the reports. LSB cost of regulation survey soars beyond target 12 November, 2014- The Legal Services Board's survey into the costs of regulation has exceeded its minimum target by 600%. CLC supports Probate Apprenticeships 27 October, 2014- CLC supports consortium of probate practices and experts in its successful application to develop an apprenticeship in Probate as part of the Government’s Trailblazer 3 scheme. LSB approve ABS licensing changes 27 October, 2014- LSB approves measures to make it simpler for multi-disciplinary practices to be licensed as alternative business structures by the SRA. New portal to deliver improved services for LeO 20 October, 2014- New online portal, introduced as part of improvements to LeO's service, will enable lawyers to manage complaints in one place from the end of the month. LSB Chair warns of need to prepare for change 26 September, 2014- LSB Chair says address weaknesses in the Legal Services Act, take a hard look at legal services regulation and reduce legal services costs to meet the needs of ordibary clients. SRA publishes further training consultation 23 September, 2014- SRA publishes further training consultation covering Welsh language amendments, formalities surrounding the QLTS and changes to the Management Course. SRA increases anti money laundering involvement 11 September, 2014- SRA increases efforts to help stop solicitors getting involved in money laundering and ensure continued compliance with regulations and legislation. Law Society launches “Use a Professional. Use a Solicitor” campaign 5 September, 2014- Law Society launches a consumer campaign aimed at persuading the public to use a solicitor for legal advice rather than going to an unregulated provider. SRA Forced to shelve PII reforms 21 August, 2014- SRA forced to put on hold its plans to amend the basis for professional indemnity insurance cover following LSB intervention. Law Society announces new chief executive 16 August, 2014- Law Society announces appointment of Catherine Dixon to be its new chief executive replacing Des Hudson who retires at the end of this month. CILEx announces new CEO 29 July, 2014- CILEx announces that Mandie Lavin is to be appointed as their new Chief Executive. CILEx Launch Paralegal Enquiry 19 June, 2014- CILEx announces it is to launch an enquiry into whether paralegals can meet the market needs of the future. New Chair for Legal Services Board 22 March, 2014- The Lord Chancellor announces the appointment of Sir Michael Pitt as Chair of the Legal Services Board. Barrister Complaints Guidance 6 March, 2014- SRA produces new guidance aimed at keeping clients more informed about how to raise complaints if they are not happy with their legal representation. BIS consults on new service delivery company for Land Registry 30 January, 2014- BIS seeks views on proposals to create a new company to take on service delivery functions from HM Land Registry. 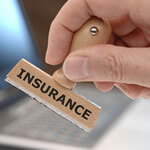 SRA warns firms to engage over insurance position 8 January, 2014- SRA to make sure firms with no insurance do not carry out work on live matters and that those firms who fail to co-operate will face enforcement action.